The IOWA Test is a nationally standardized achievement test for K-12 students. It allows you to compare your child’s basic skills in Reading, Language Arts, Mathematics, Social Studies, and Science to the skills of other children across the country. Some states and many private schools around the United States use the IOWA Test to measure grade-level performance. 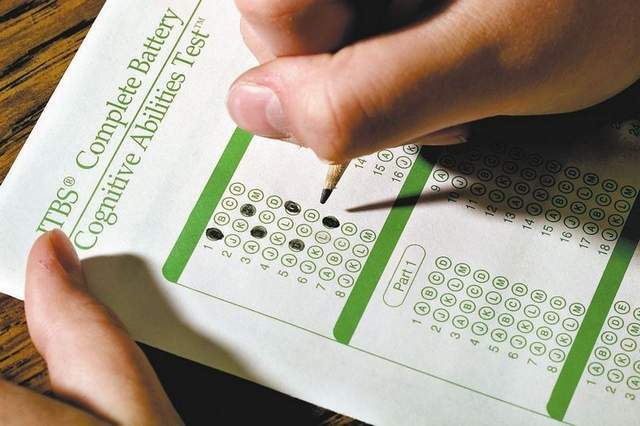 It is also often paired with an IQ test for admission into gifted and talented programs. Some International Baccalaureate programs use the IOWA Test and an essay as the school’s entrance exam. Here we’ll cover IOWA test prep, along with the basics of the IOWA Test. The content, number of questions, and time allowed on the IOWA Test depend on your child’s grade level. Each test level consists of a series of content-specific tests. Test levels 5-6 (Grades K-1.9) are tested on Vocabulary, Word Analysis, Listening, Language, and Mathematics. Level 6 is also tested on Reading: Words and Reading: Comprehension. Test Levels 7-8 (Grades 1.7-3.2) complete tests on Vocabulary, Word Analysis, Reading, Listening, Spelling, Language, Mathematics Concepts, Mathematics Problems, Mathematics Computation, Social Studies, Science, and Sources of Information. Test levels 9-14 (Grades 3.0-9.9) are assessed on Vocabulary, Reading Comprehension, Word Analysis (Level 9 only), Listening (Level 9 only), Spelling, Capitalization, Punctuation, Usage and Expression, Math Concepts and Estimation, Math Problem Solving and Data Interpretation, Math Computation, Social Studies, Science, Maps and Diagrams, and Reference Materials. Test levels 15-17/18 (Grades 9-12) consist of questions on Vocabulary, Reading Comprehension, Language: Revising Written Material, Spelling, Mathematics: Concepts and Problem Solving Mathematics Computation, Social Studies, Science, and Sources of Information. Generally, the test takes a total of two hours for younger students and about 4.5-5.5 hours for older students. Although test administration varies, the test is usually spread over the course of 2-3 days. Before we discuss IOWA Test prep, it’s important to have a basic understanding of the types of questions your child will be asked on the exam. Let’s take a look at the major question types on the IOWA. Level 5/6 students identify a word read aloud by a teacher or choose a picture matching a printed word. Levels 7/8 complete sentences about pictures by selecting the answer choice that logically fills in the blank. They also answer multiple choice questions about written stories. Students in Levels 9-14 (3rd-8th grades) answer questions about both literary and informational passages. Many of the questions will require students to make inferences or draw logical conclusions based on the information they have read. High school students read longer passages and answer higher-level questions that require skills like inferring, analyzing, and generalizing. This section of the test is only administered to Level 9 (third grade) and up. For Levels 9-14, students must choose the best way to express ideas in a piece of writing based on factors such as organization, sentence structure, most appropriate language choice, usage, and clarity. Students also must identify common usage errors in this section. Students taking Levels 15-17/18 will read four complete texts with underlined areas that may potentially need revisions. Students then correct these underlined areas based on spelling, usage, organization, focus, mechanics, and more, just as they would in their own writing. Mathematics questions on the IOWA test vary widely according to test level. For the youngest students, questions are read aloud, and answer choices consist of pictures and numbers. These students solve word problems, basic geometry, and measurement questions. Questions then advance in complexity, ranging from data interpretation and number relationships to estimation, probability, statistics, and algebraic patterns. Levels 5 and 6 do not answer Science questions. Levels 7 and 8 listen to questions involving life science, earth and space science, physical science, and methods of inquiry. They respond by selecting the correct picture. In Levels 9-14, students answer questions dealing with the same content, but they must apply these concepts in order to explain, infer, and hypothesize. High school students read passages related to scientific experiments and must analyze and evaluate experimental procedures, make inferences and predictions, and generalize experimental results to related situations. Beginning with Level 7, students answer questions about history, economics, geography, and government that escalate in difficulty. Students answer questions about civics beginning with Level 9, and high school students are asked to evaluate primary historical sources. Levels 5-8 are tested on listening vocabulary. Kindergarten and first grade students select a picture that represents a provided word, while 1st and 2nd graders select the correct written responses. Equal numbers of nouns, verbs, and modifiers are tested. For Levels 9-17/18, students read a short sentence or phrase with an underlined word. Students must select the answer choice that is closest in meaning to the underlined word. Levels 5 and 6 listen to questions that are read aloud and then answer by choosing one of three pictures. Questions deal with prepositions, word classifications, verb tenses, and spatial-directional relationships. For Levels 7 and 8, teachers read aloud the questions and response choices. Students answer questions related to spelling, capitalization, punctuation, and skill in written usage and expression. Older students do not answer this question type. Levels 5/6 are not required to answer computation questions. Levels 7/8 answer addition and subtraction computation questions; some are read aloud and some are not. Students are permitted to use scratch paper. One answer choice is “N,” meaning the correct solution is not given in the answer choices. Levels 9-14 answer a variety of questions involving addition, subtraction, multiplication, division, and algebraic manipulations at the higher levels. Students may work with whole numbers, fractions, and decimals. Students at Levels 15-17/18 are also required to manipulate variables and evaluate expressions that include exponents or square roots. Levels 5-7 are tested on their ability to recognize letters and letter-sound relationships. Pictures, letters, and words are used as stimuli and response choices. Level 8 students are also assessed using affixes and compound words. Level 9 students are tested on a variety of skills involving sound-letter association, decoding, and word structure. Students above Level 9 do not answer Word Analysis questions. Students answer comprehension questions based on passages that are read aloud. Listening skills are tested in Levels 5-9 only. Now that you have an understanding of the major question types, it’s time to discuss IOWA Test prep. How can you prepare for such a wide-ranging test? The IOWA Test measures skills your child should be learning in school, so one way to prepare is by paying attention in class, completing assignments, and studying class materials. Reading a certain amount of pages or minutes each day is the best way to help your child improve vocabulary, reading comprehension, and even stamina. If you know your child’s relative weaknesses, you can purchase workbooks that aim to teach these skills. For example, if your child struggles with math, consider buying math workbooks to enrich your child’s mathematical knowledge prior to taking the IOWA. The most effective method of IOWA Test Prep is to consistently work on practice test questions. This will help your child become familiar with the structure and content of the test, building confidence in her ability to ace the IOWA. Have your child explain how she arrived at each answer, whether it is correct or incorrect. If the answer is correct, you have the opportunity to reinforce strong logic. If it is incorrect, you can talk about how to better approach this type of question in the future. Follow these IOWA Test prep tips to help your child ace the IOWA!